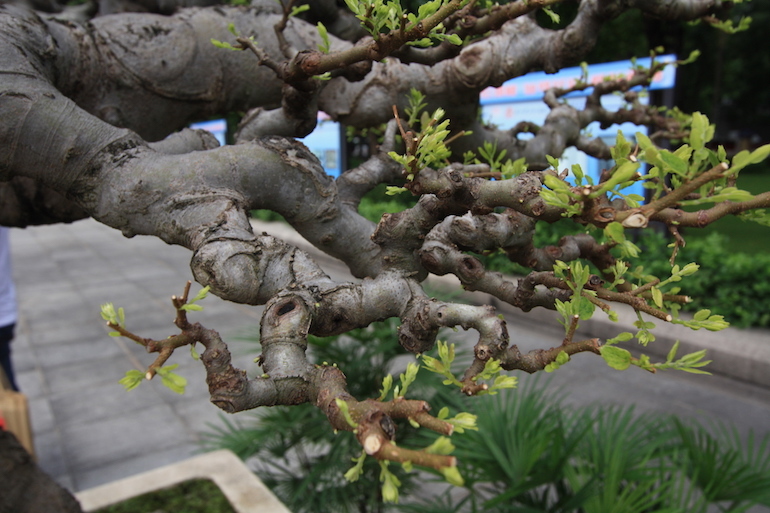 Celtis sinensis is from the Ulmaceae family, which is part of the nettle trees or hackberries. 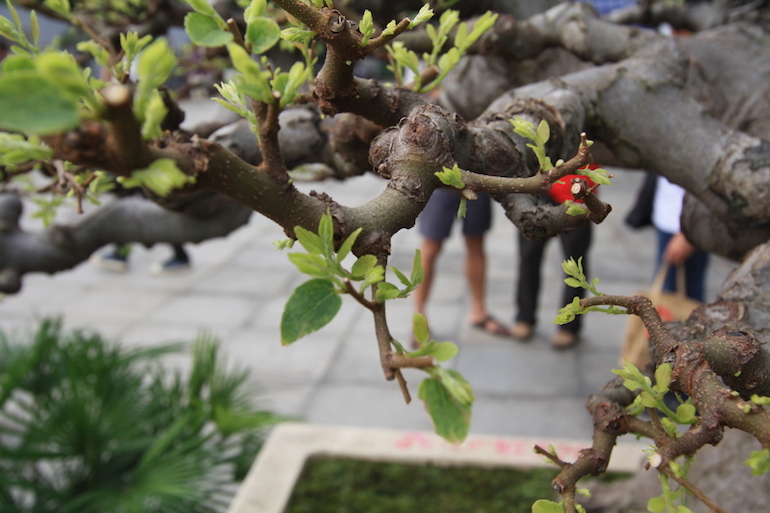 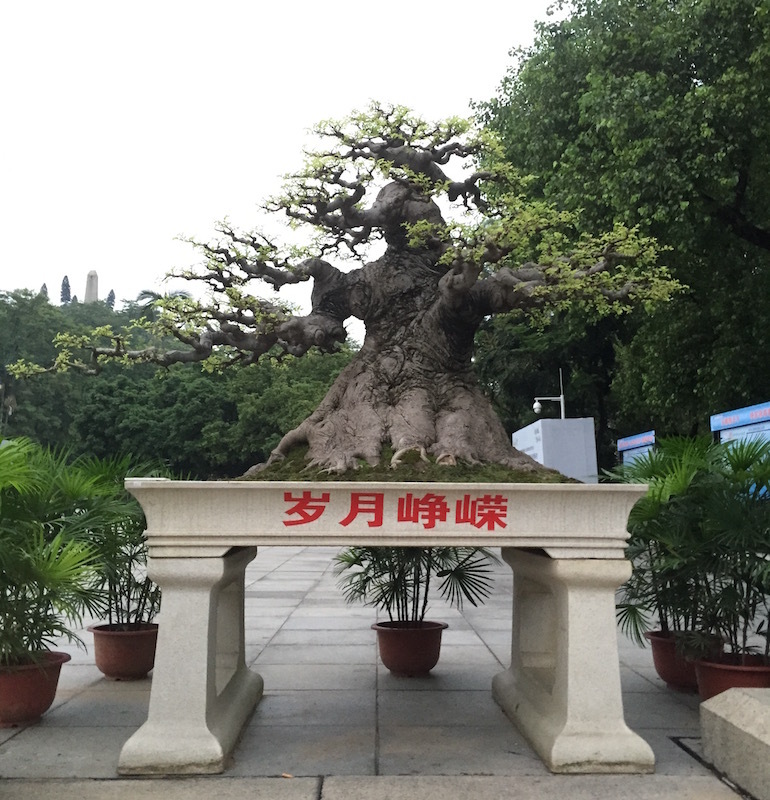 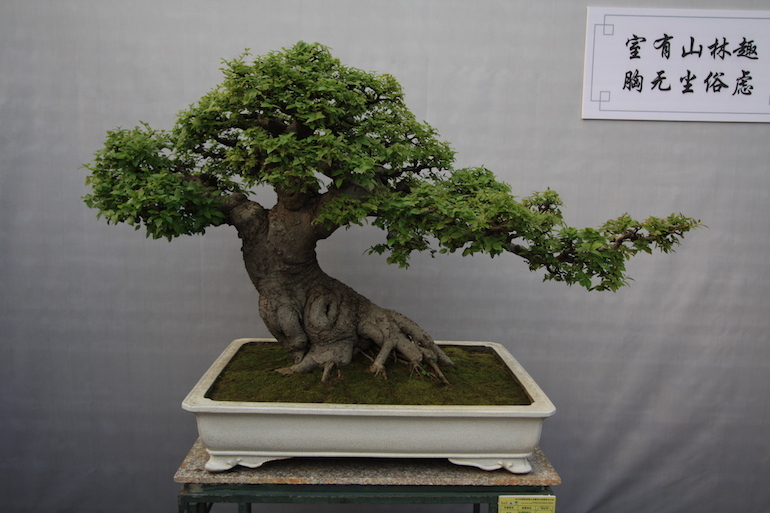 They are elegant fast growing trees which reach a medium size and are deciduous. 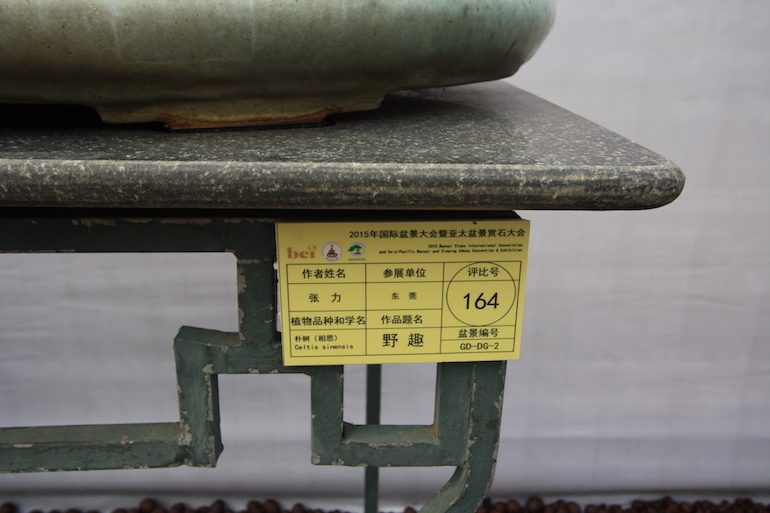 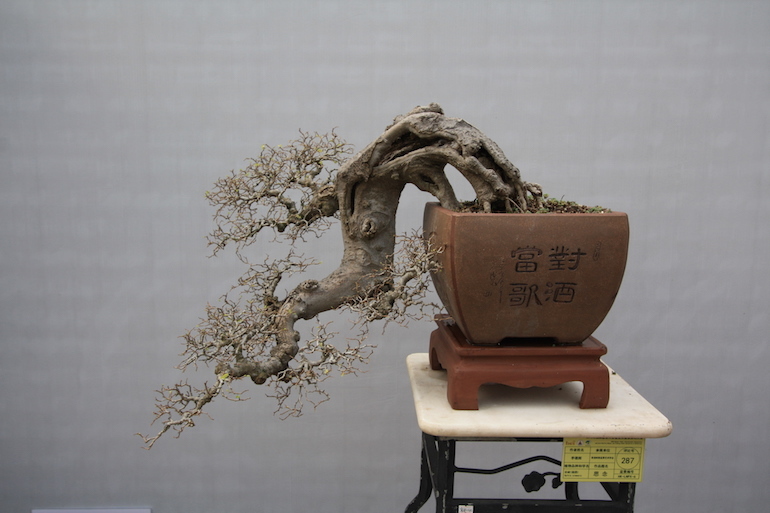 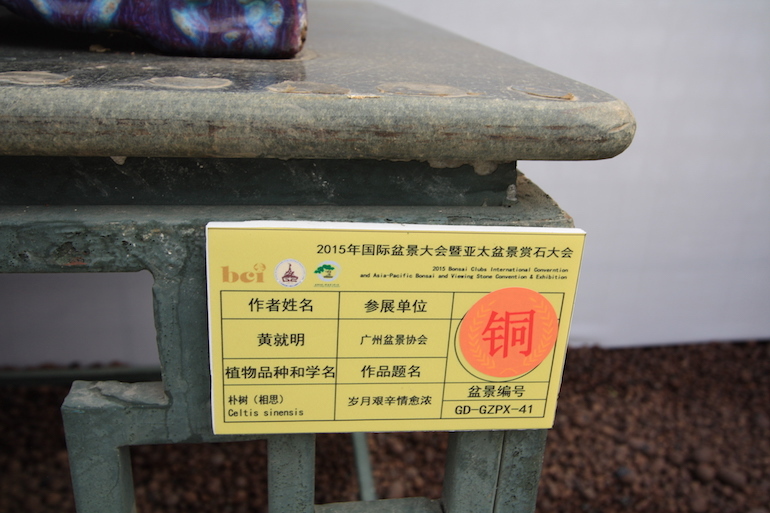 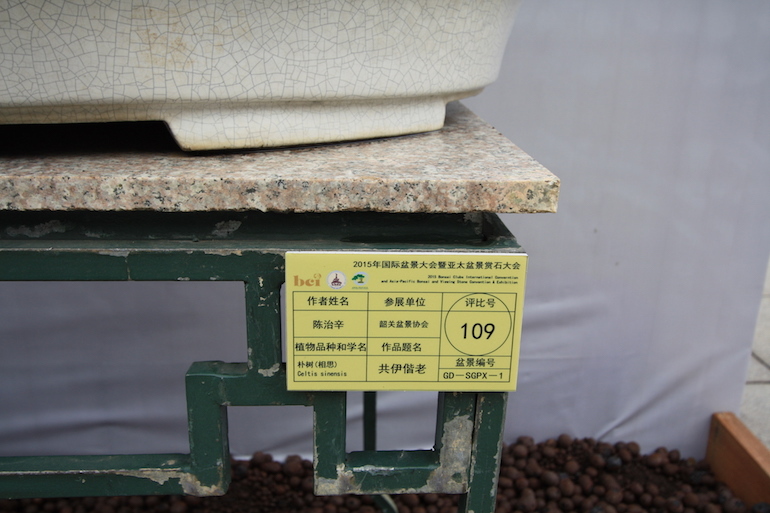 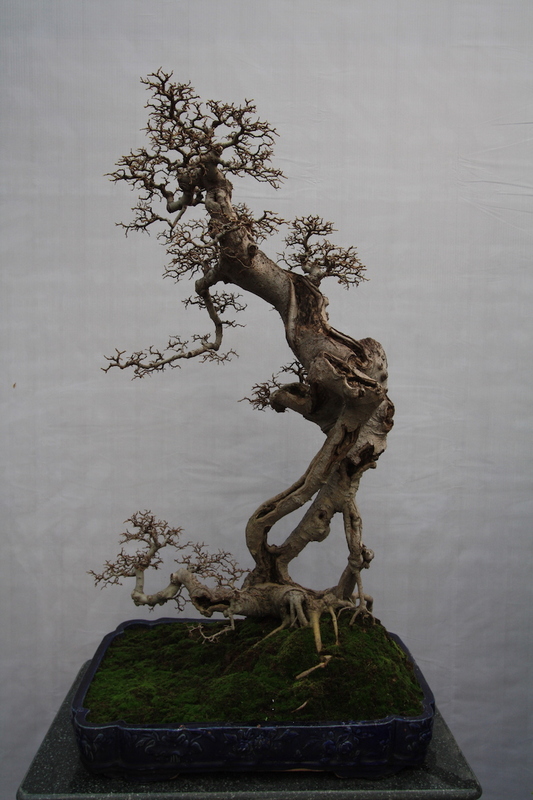 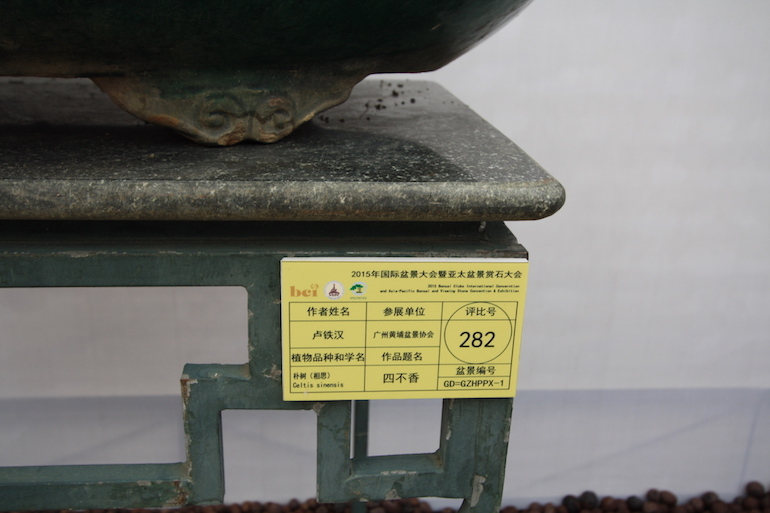 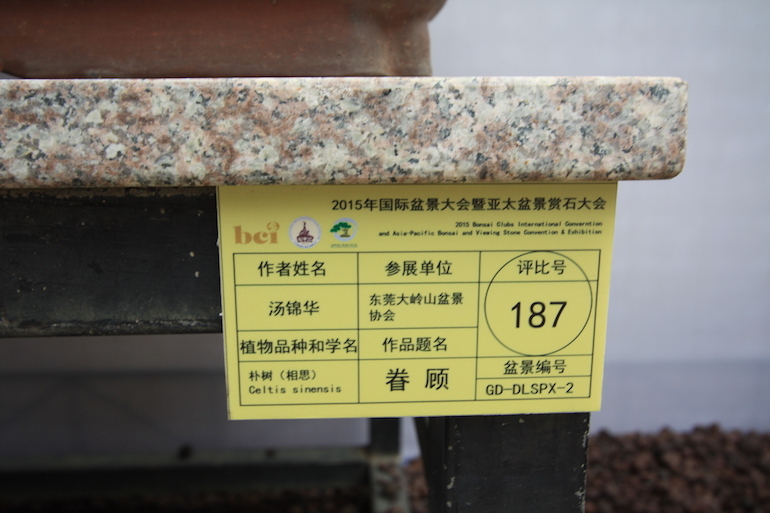 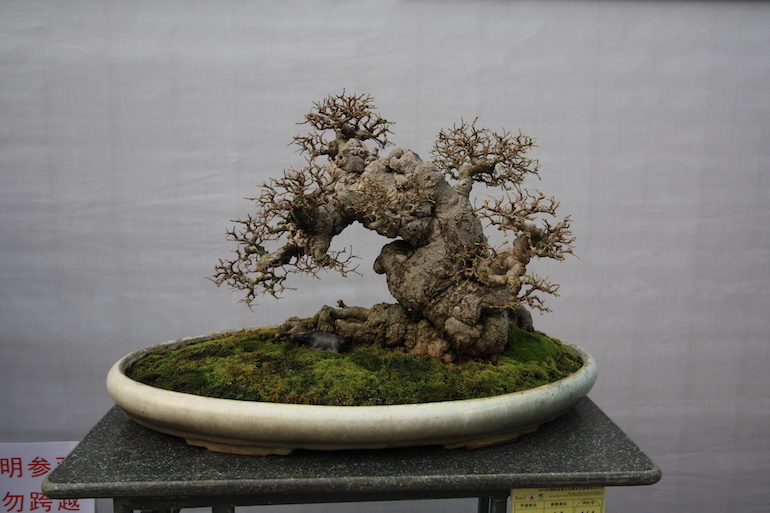 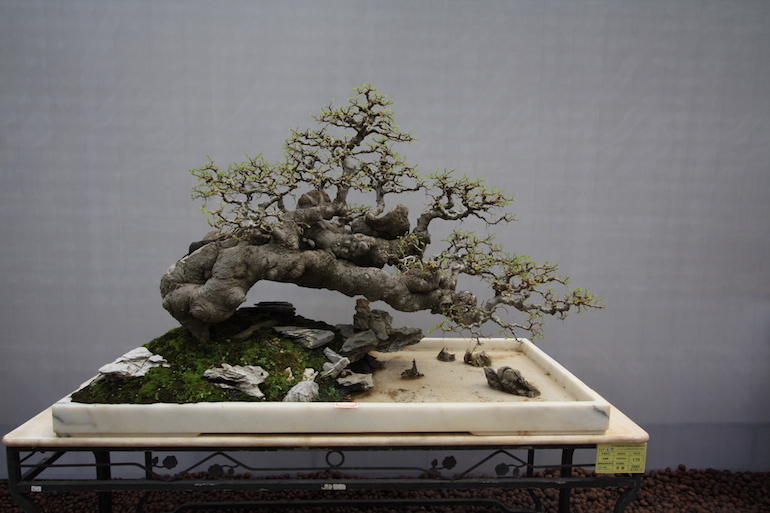 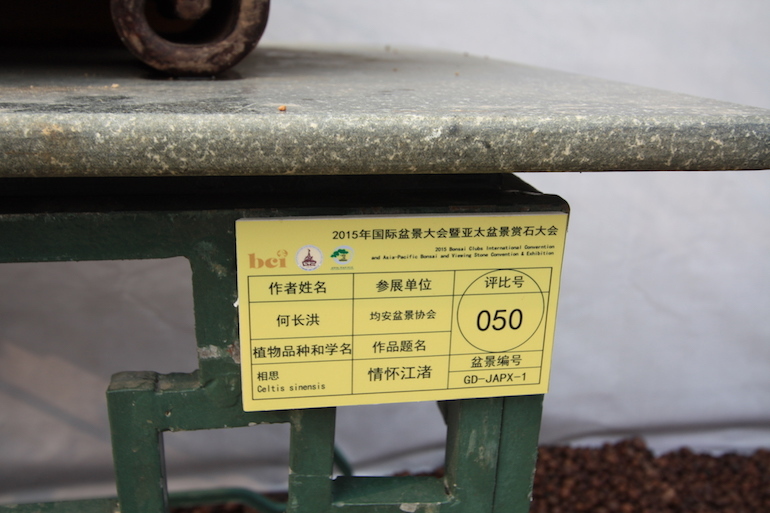 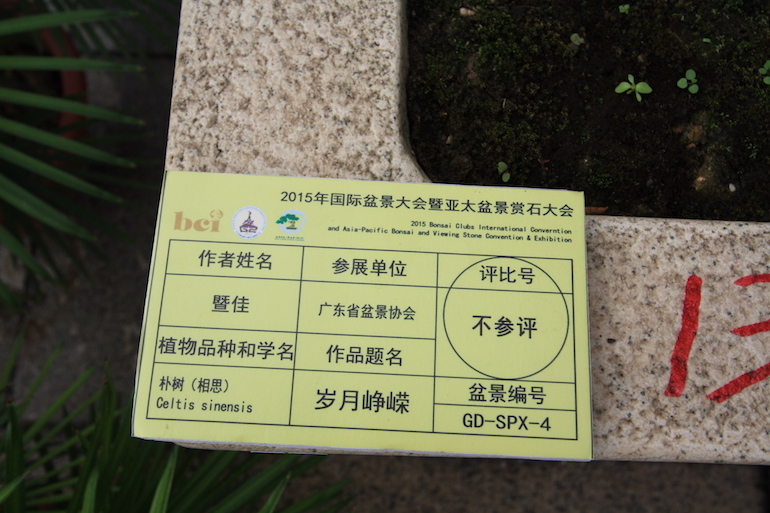 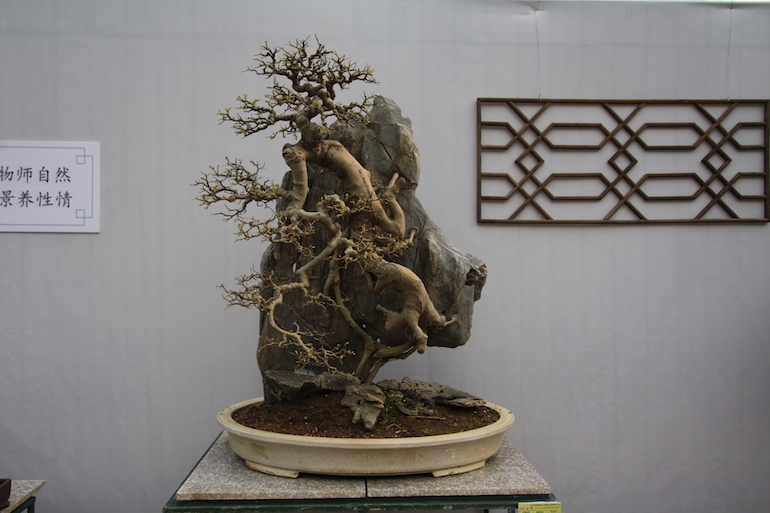 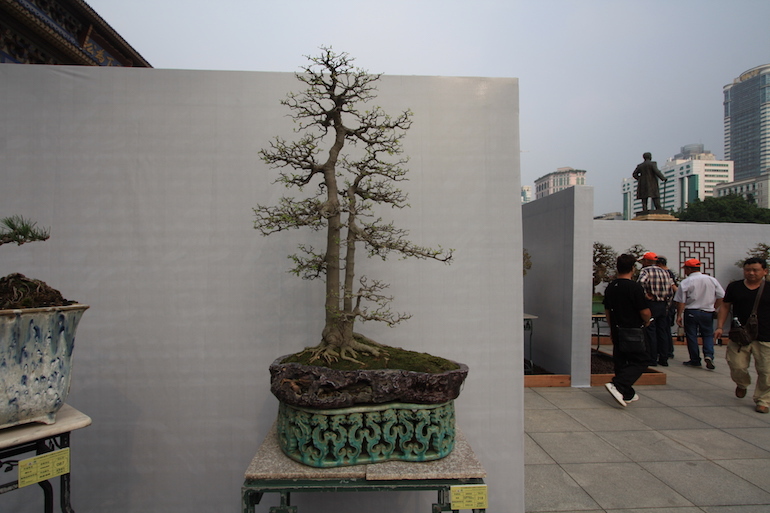 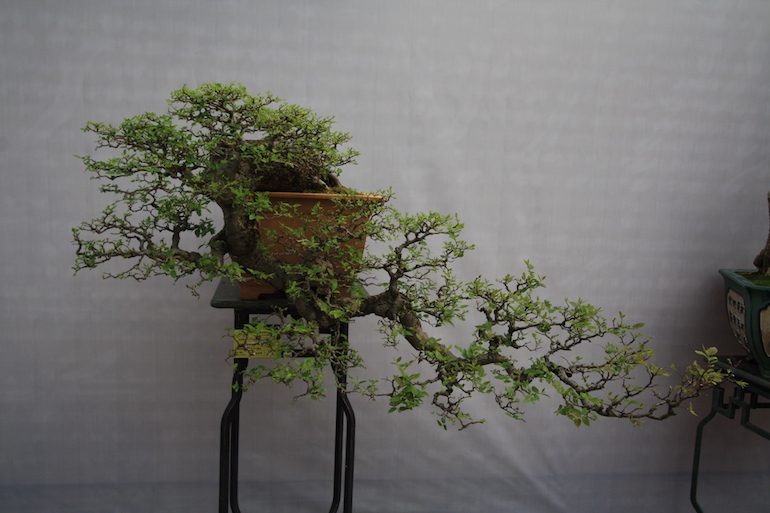 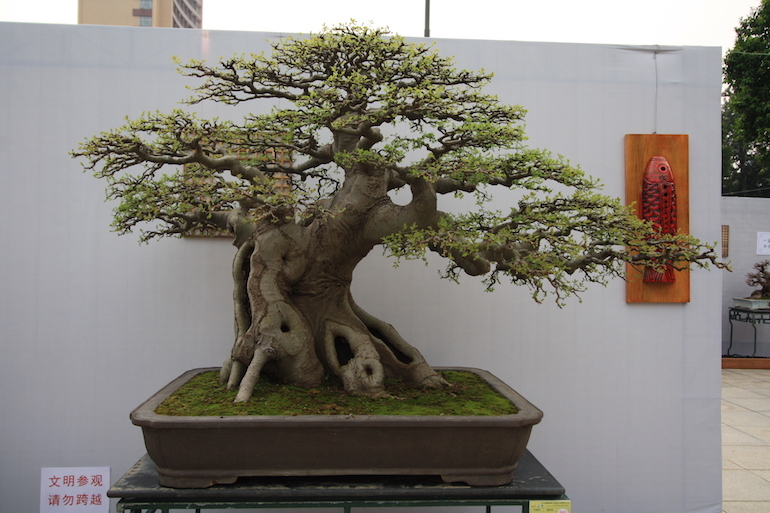 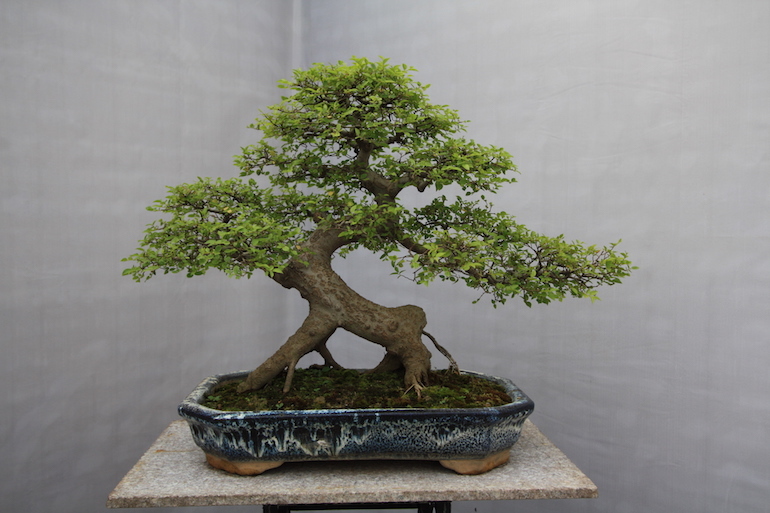 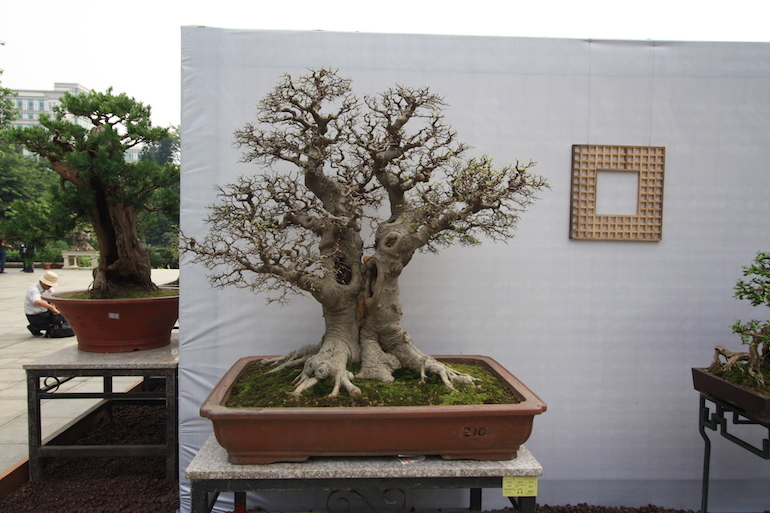 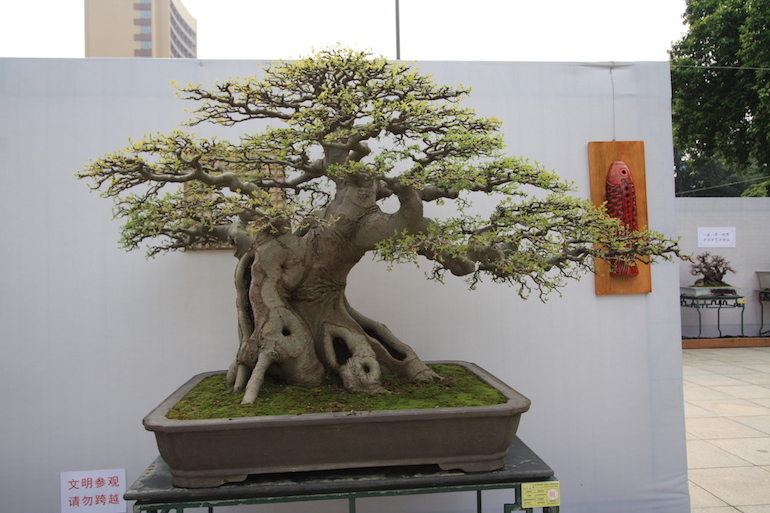 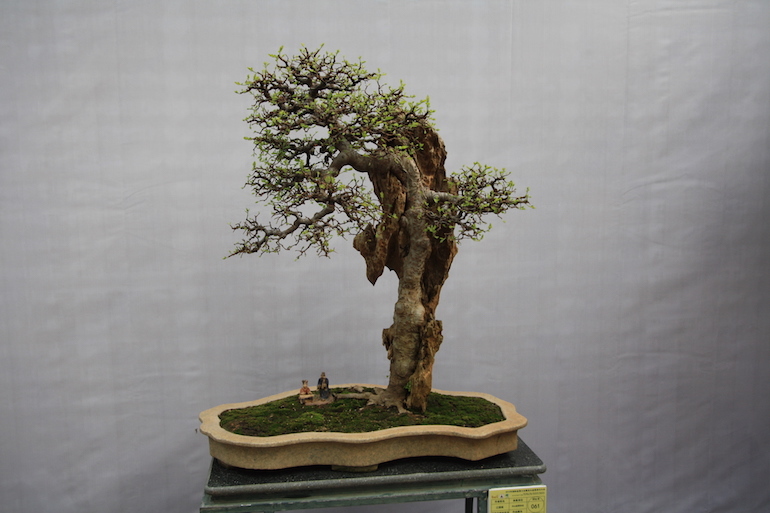 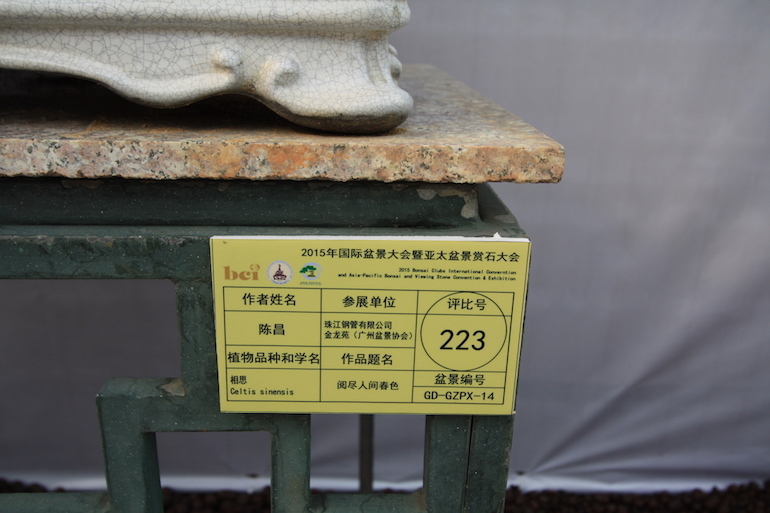 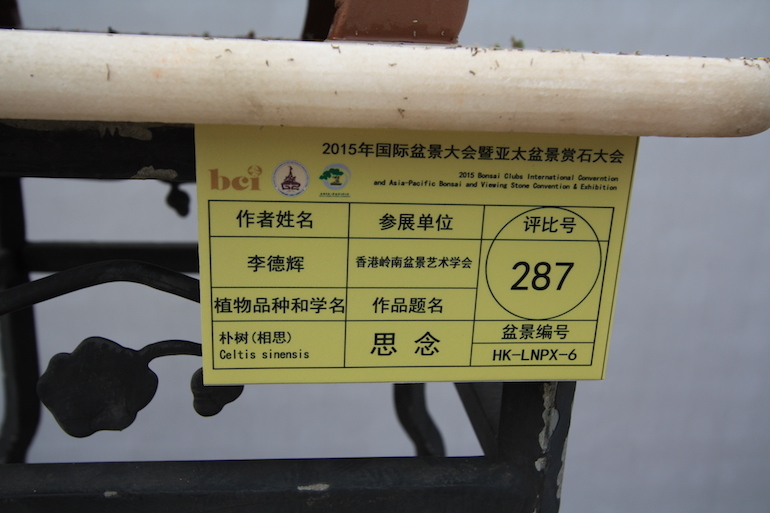 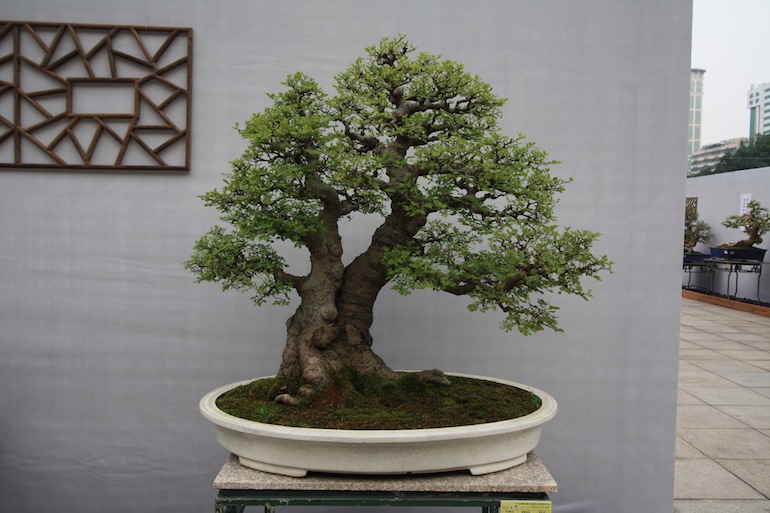 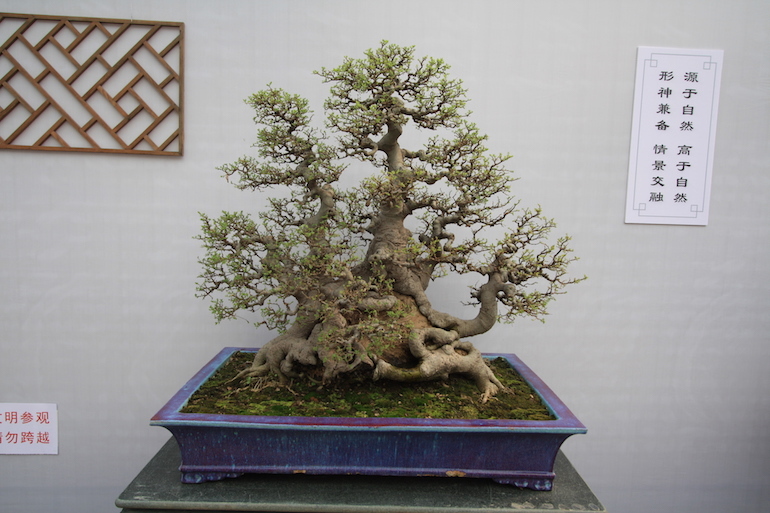 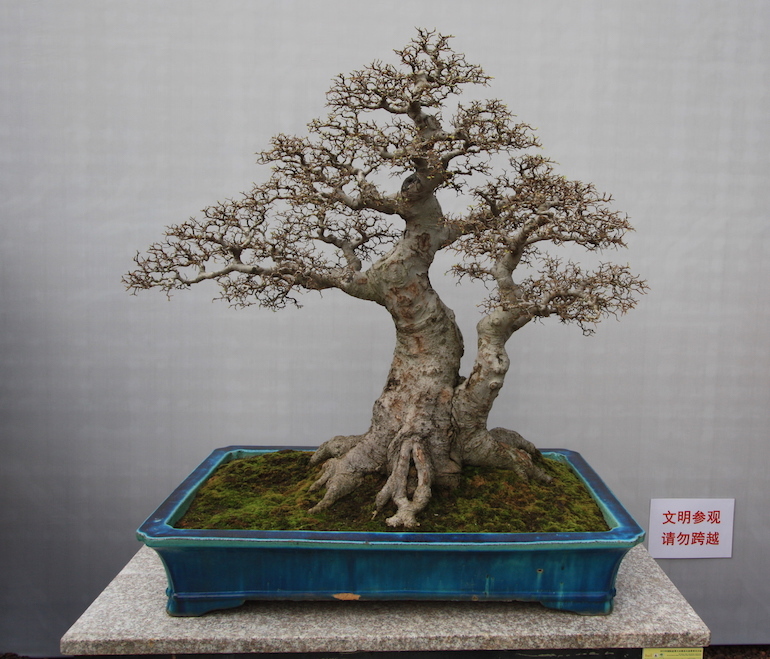 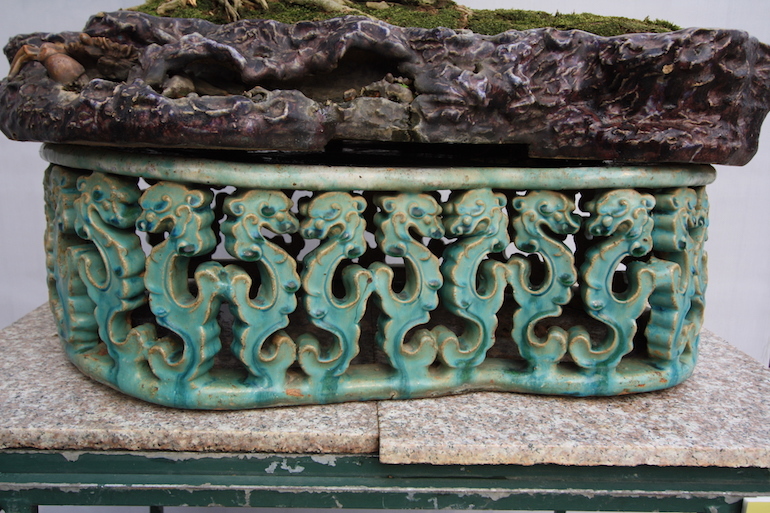 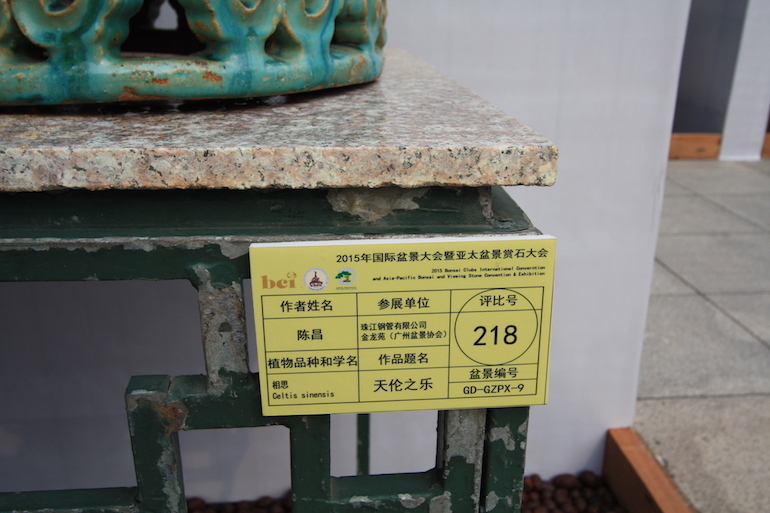 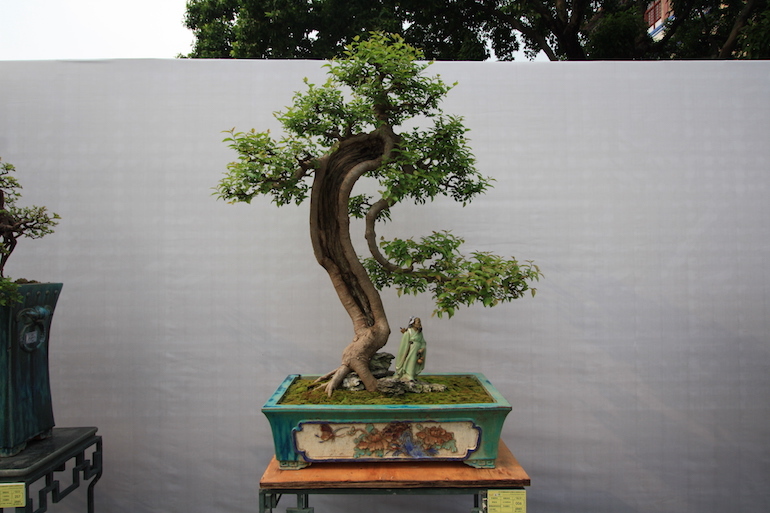 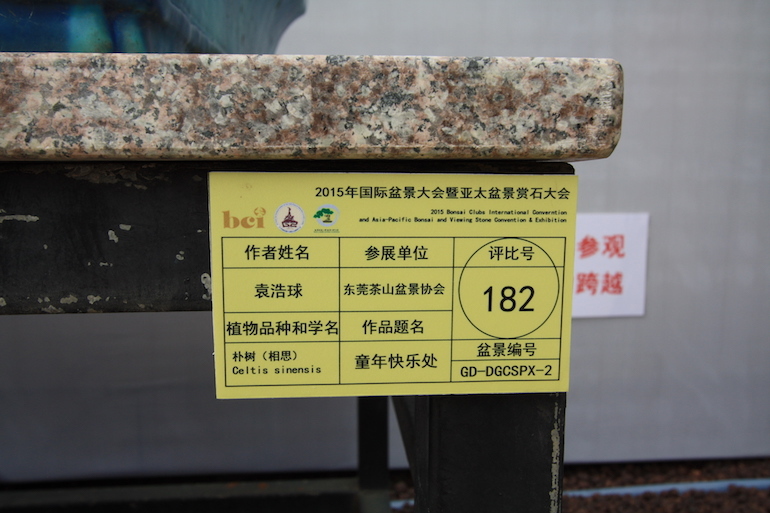 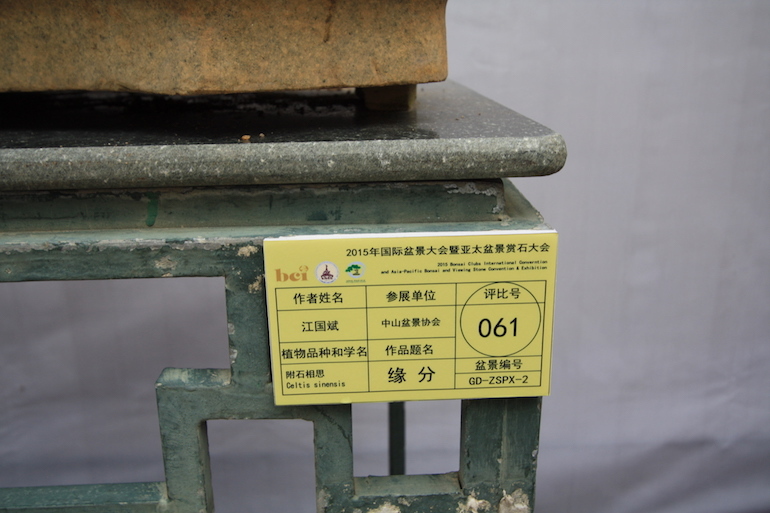 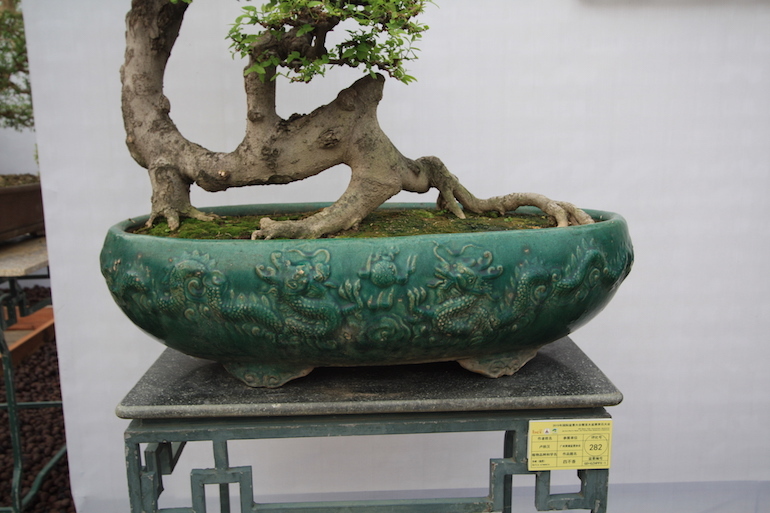 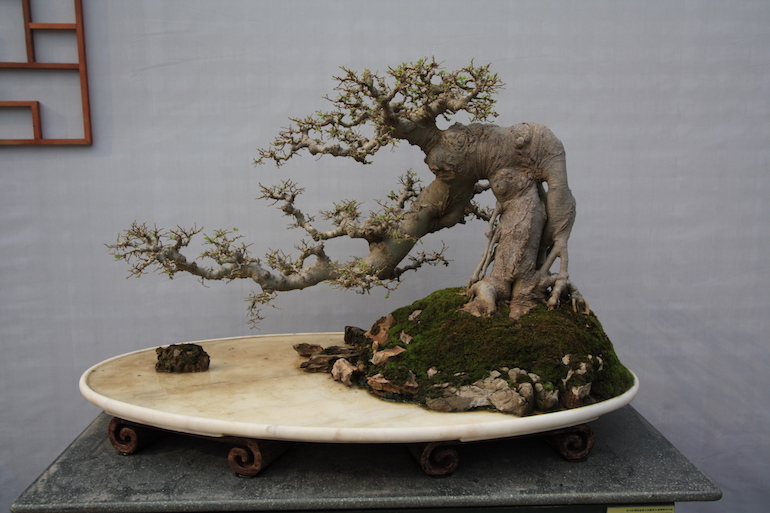 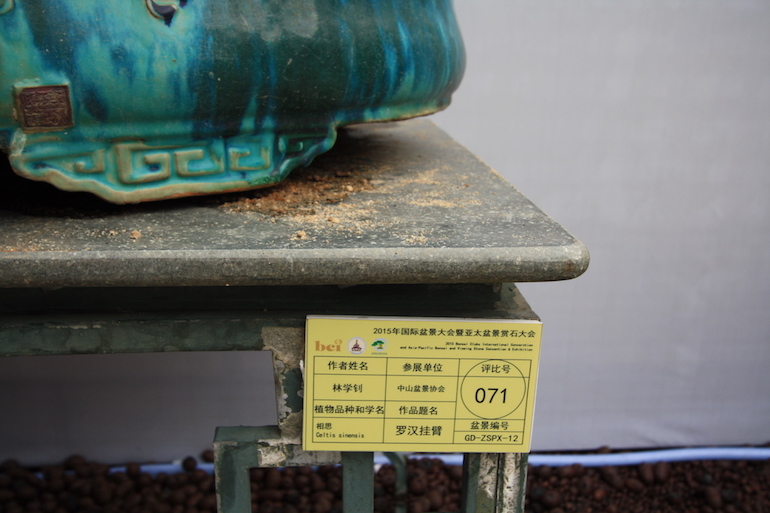 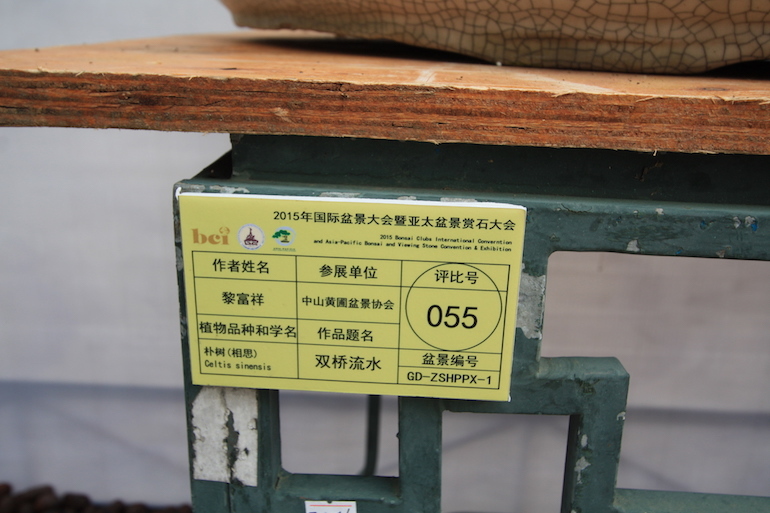 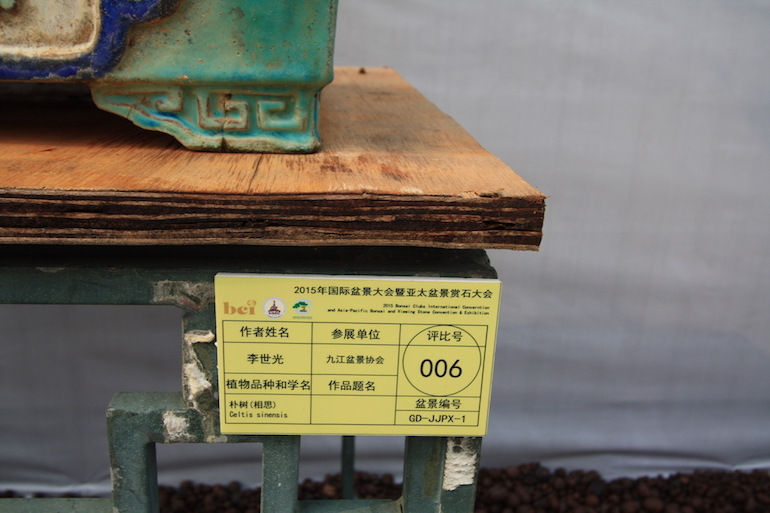 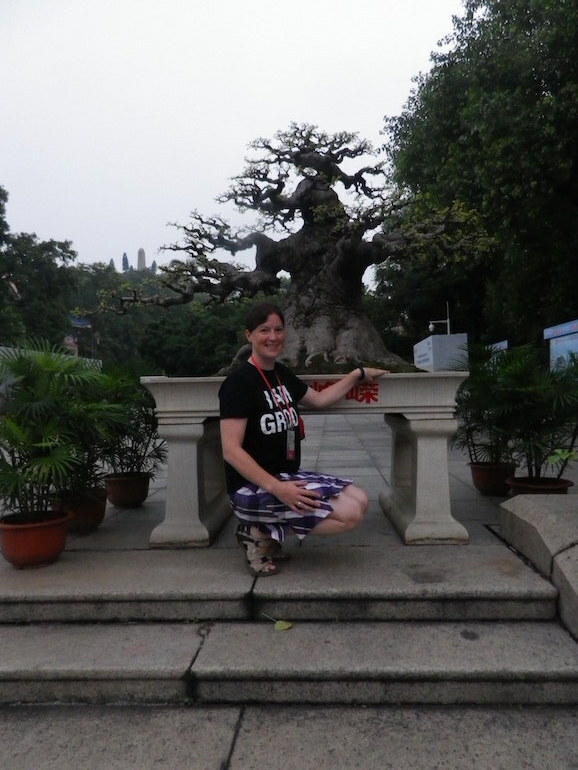 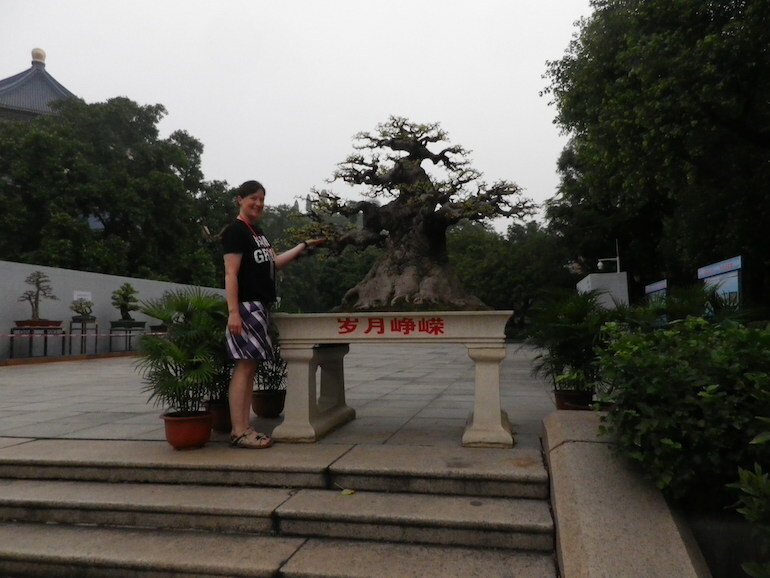 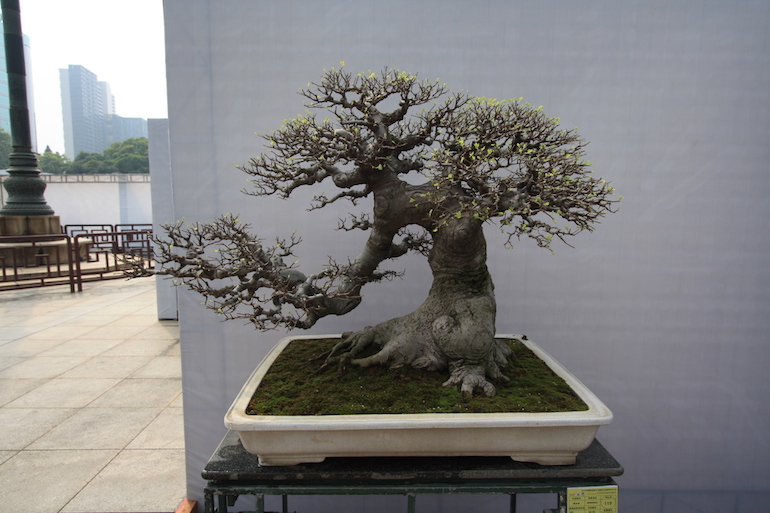 They are not so well known in the UK as bonsai but there were some impressive bonsai specimens of this species at the BCI Convention in China. 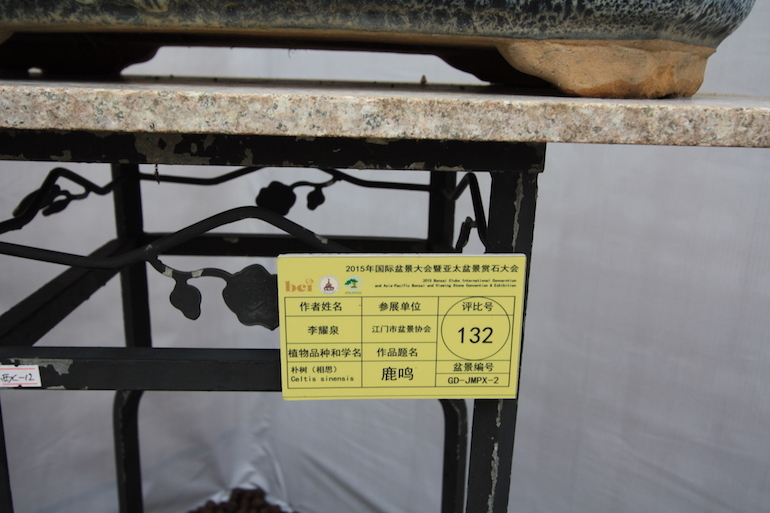 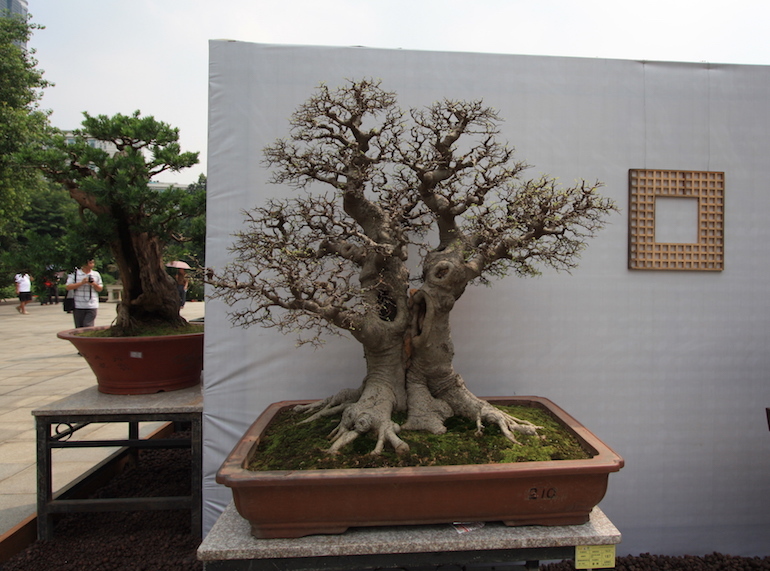 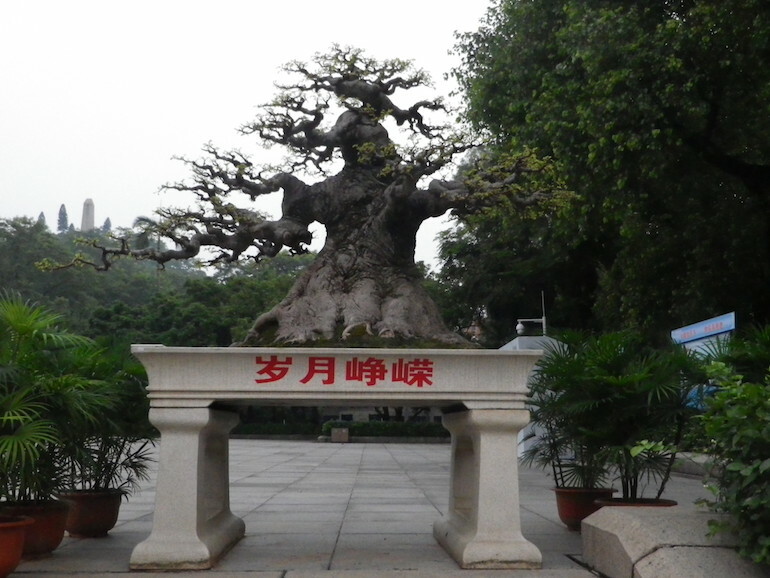 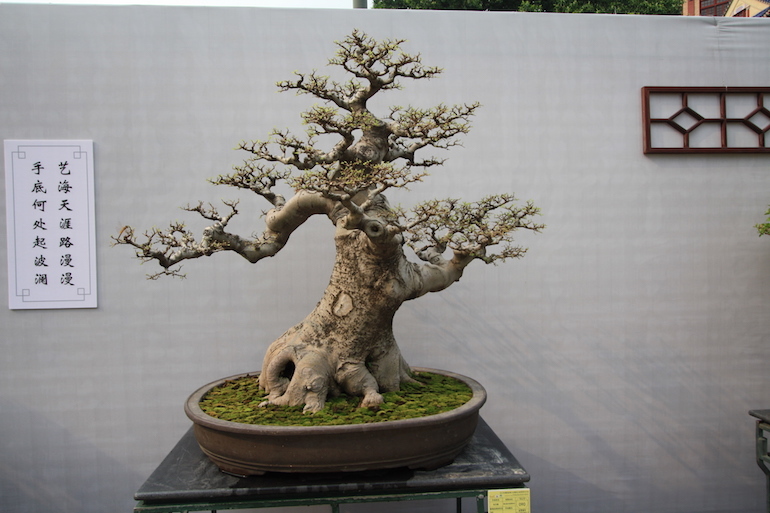 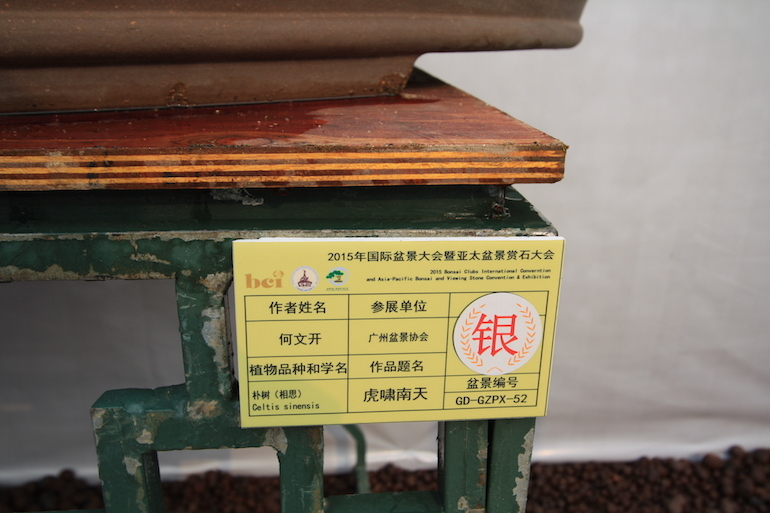 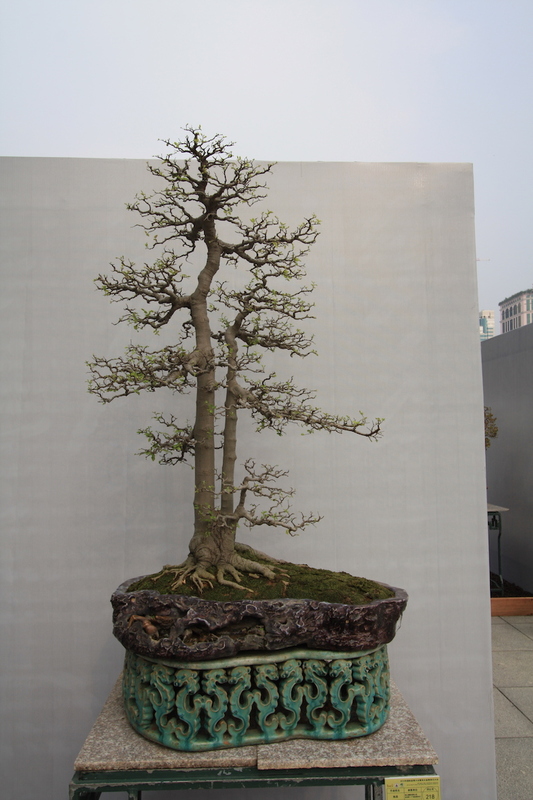 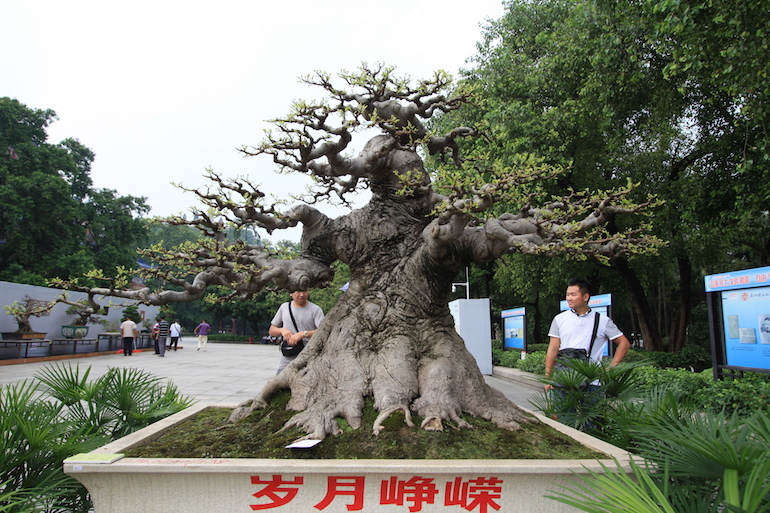 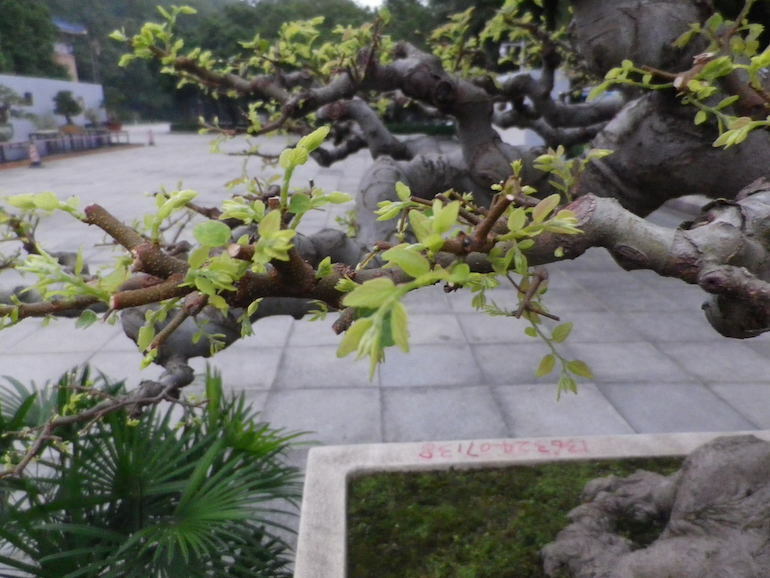 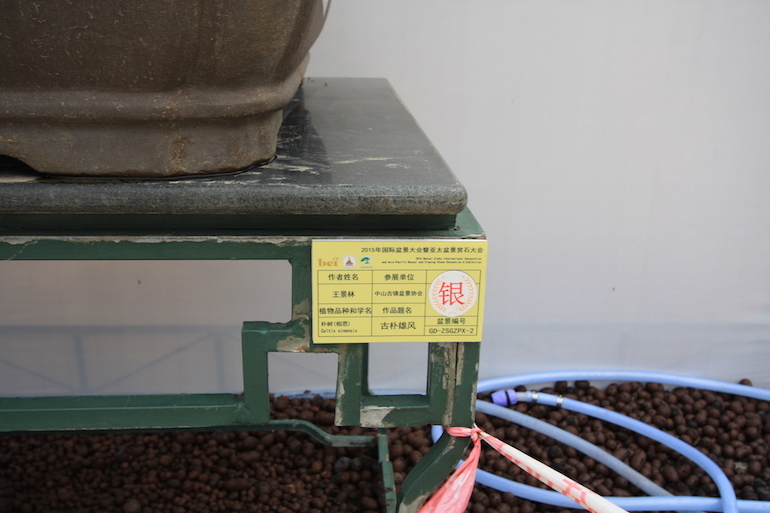 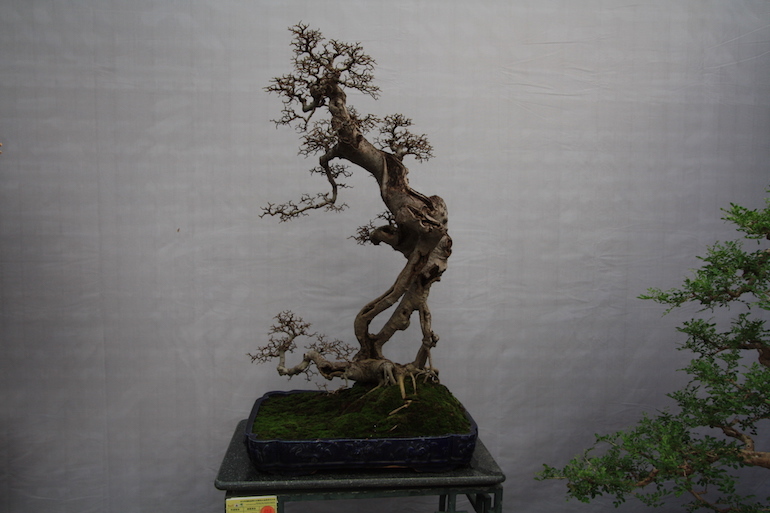 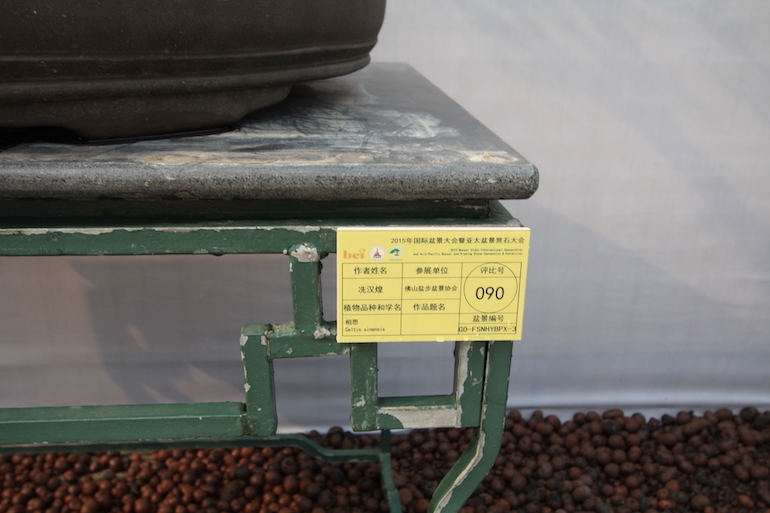 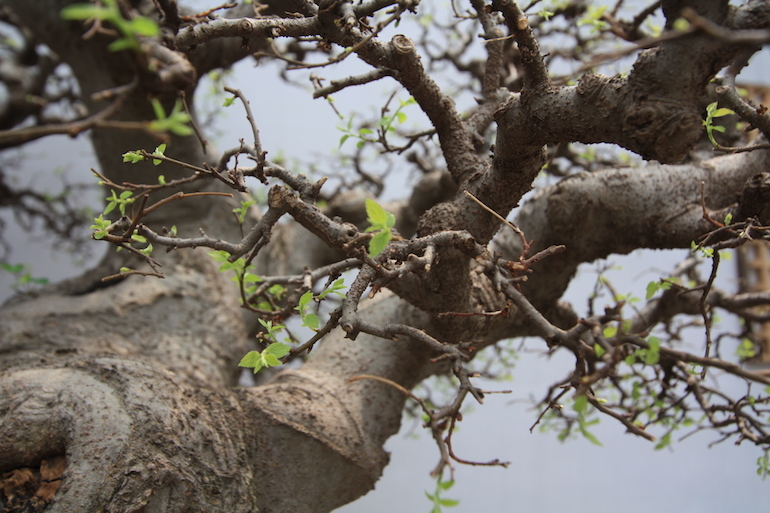 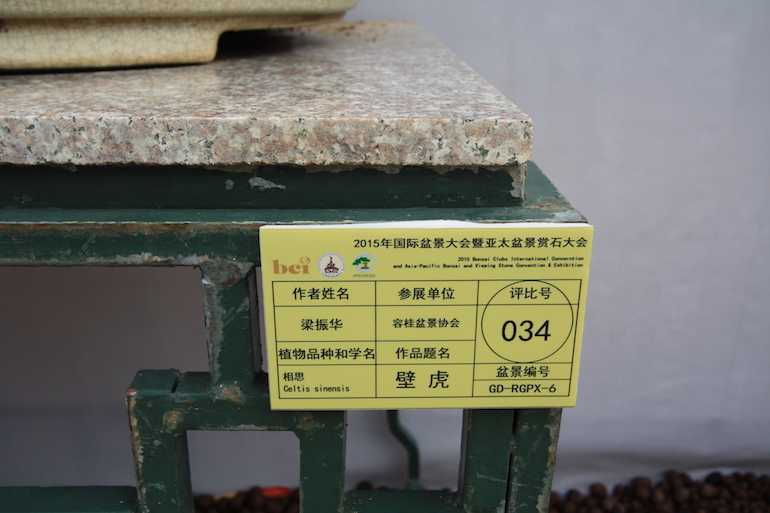 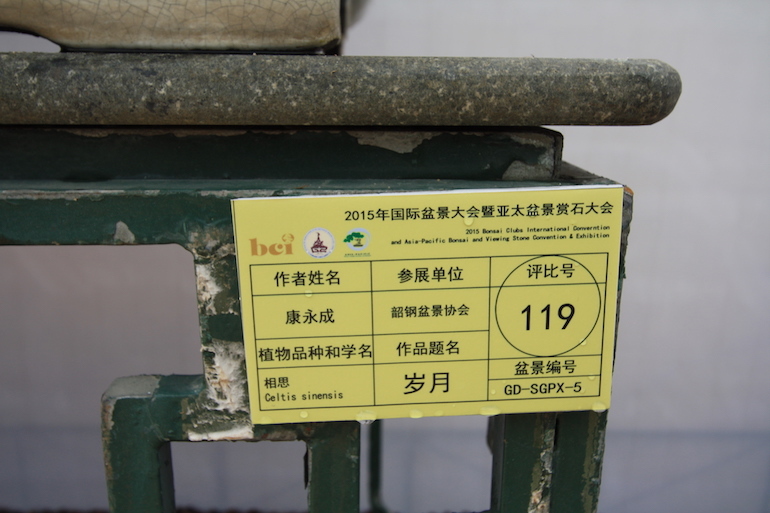 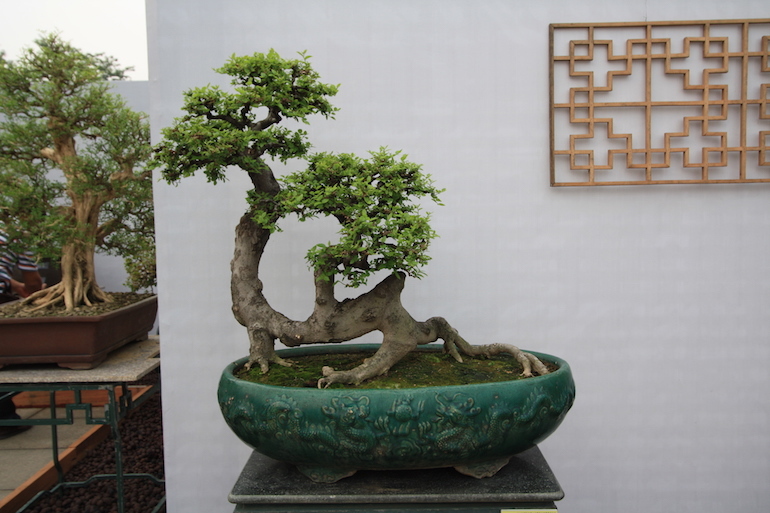 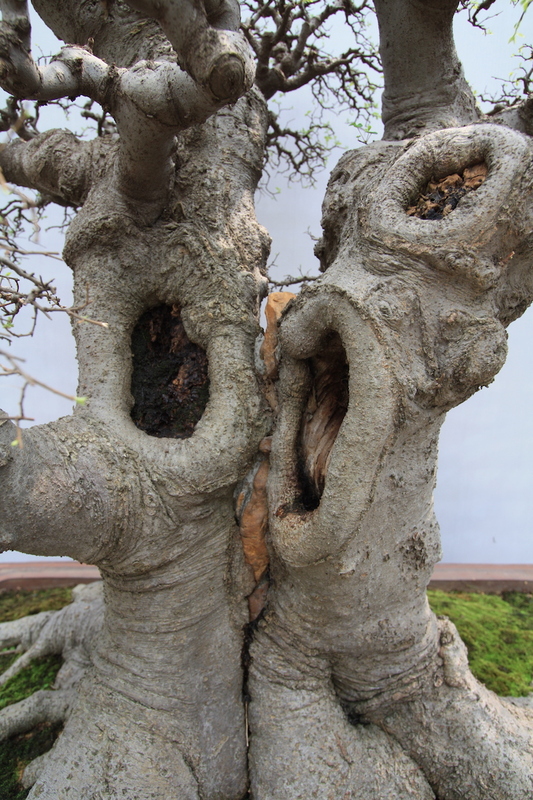 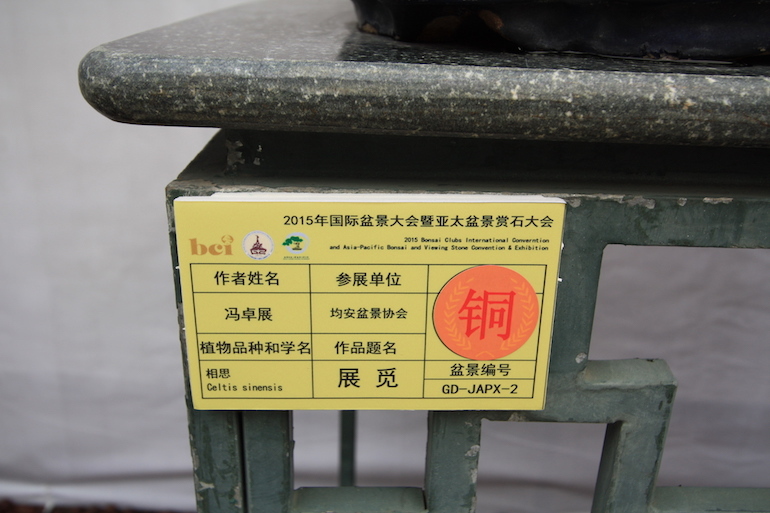 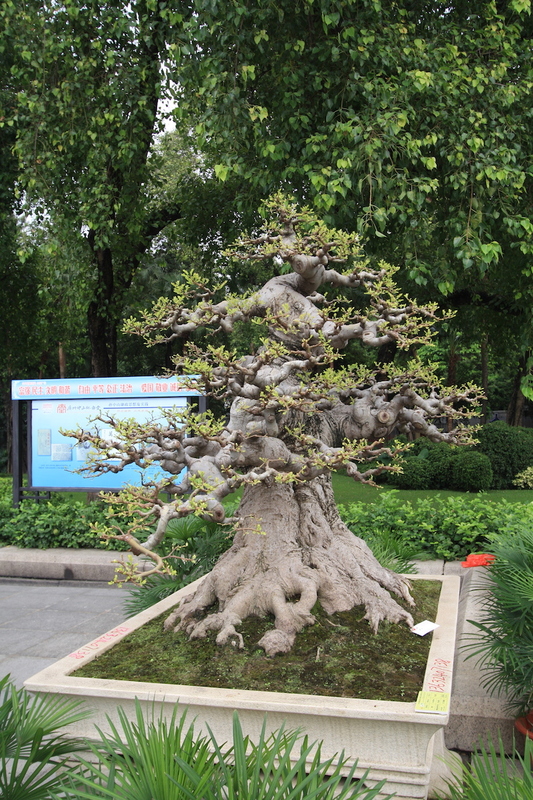 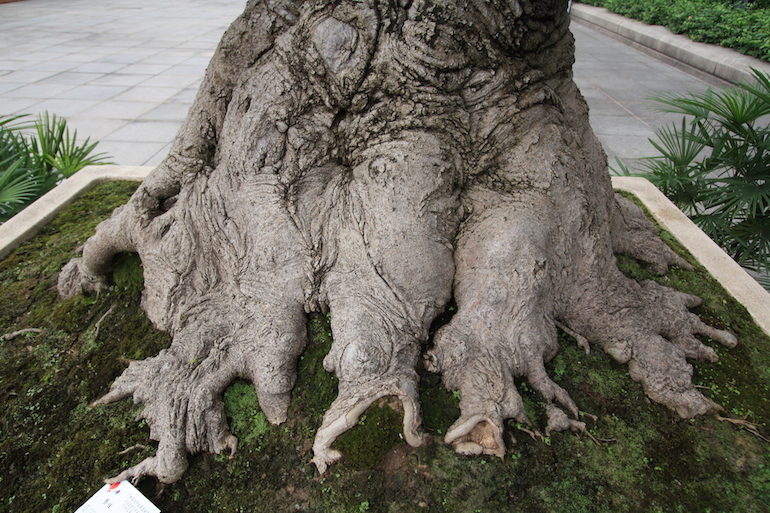 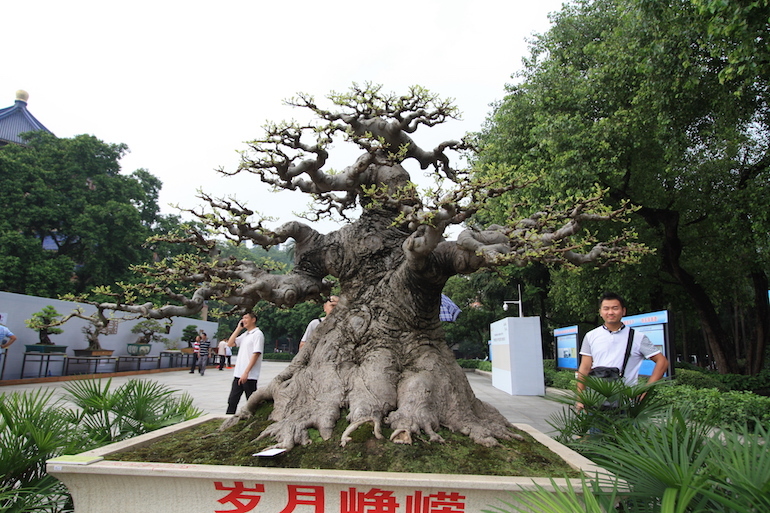 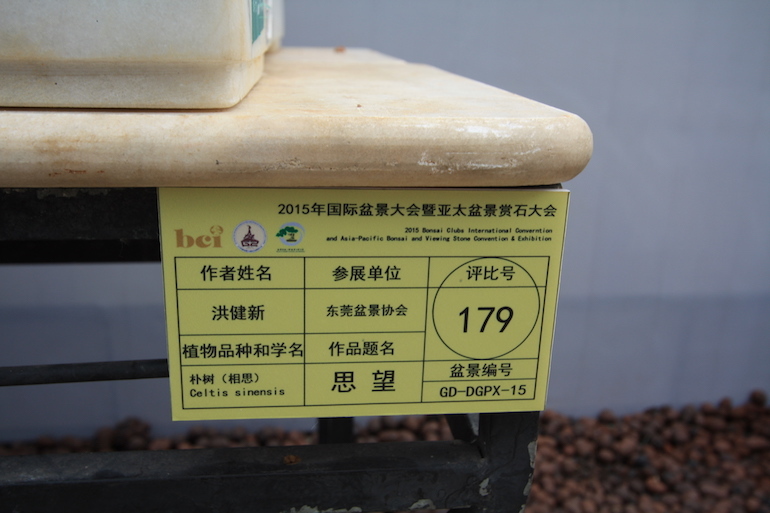 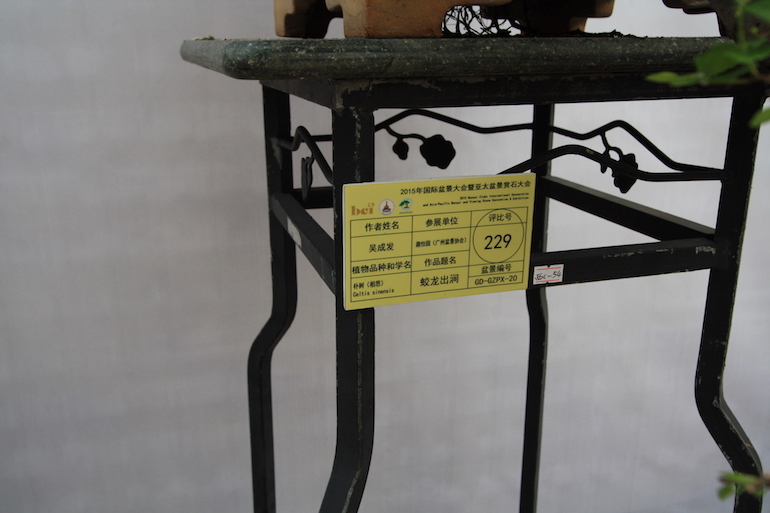 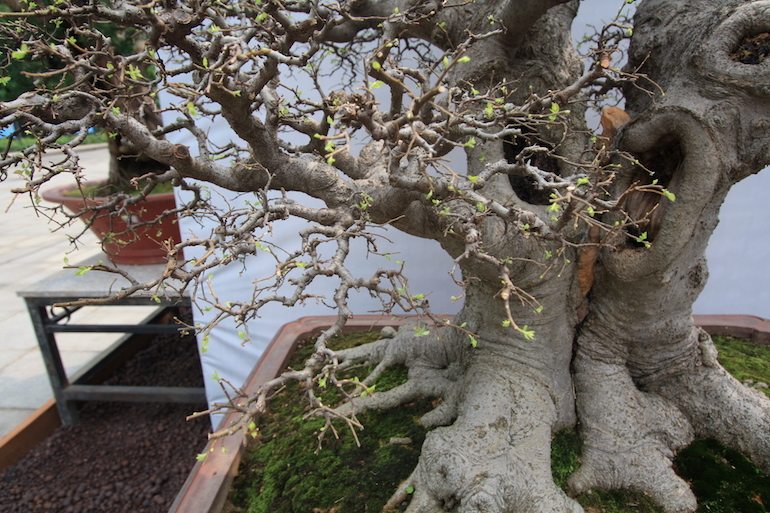 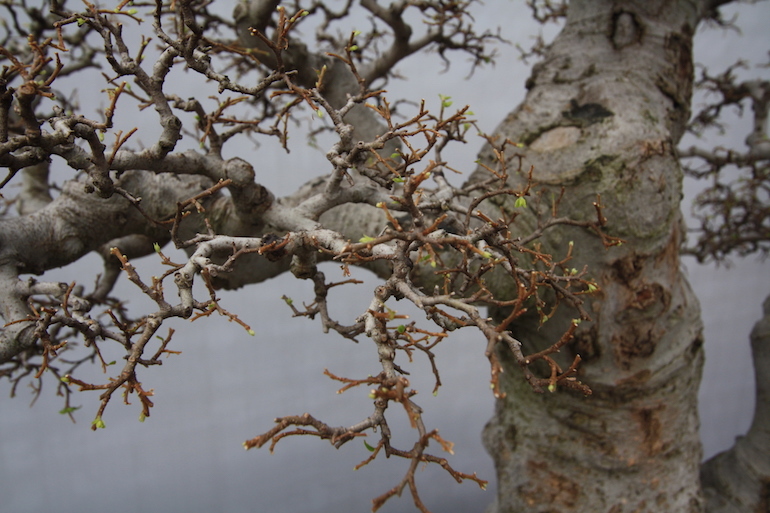 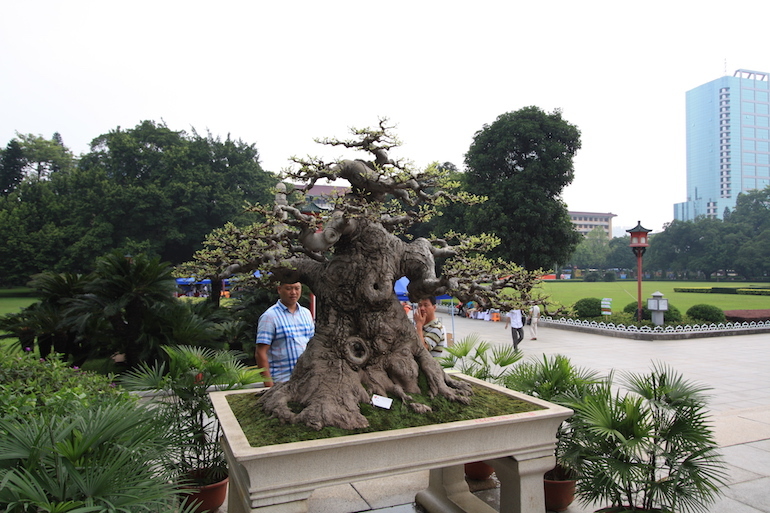 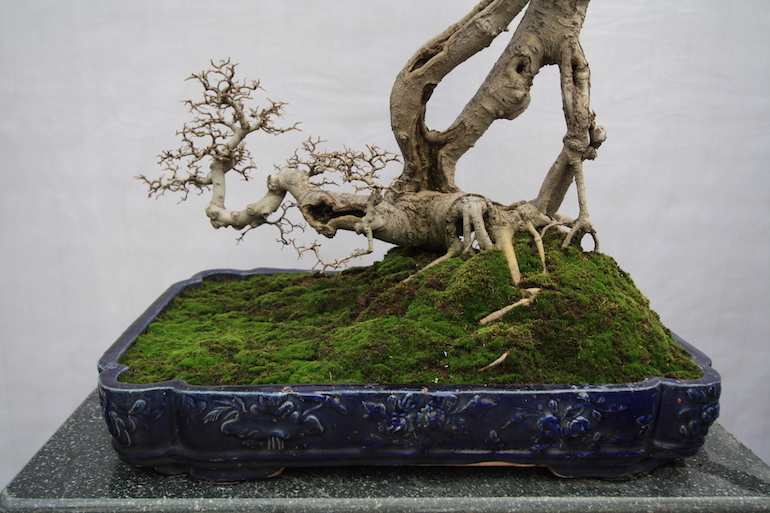 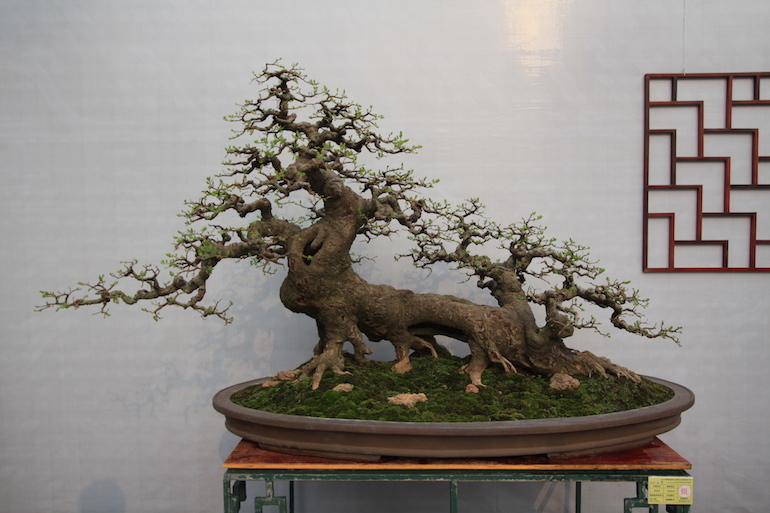 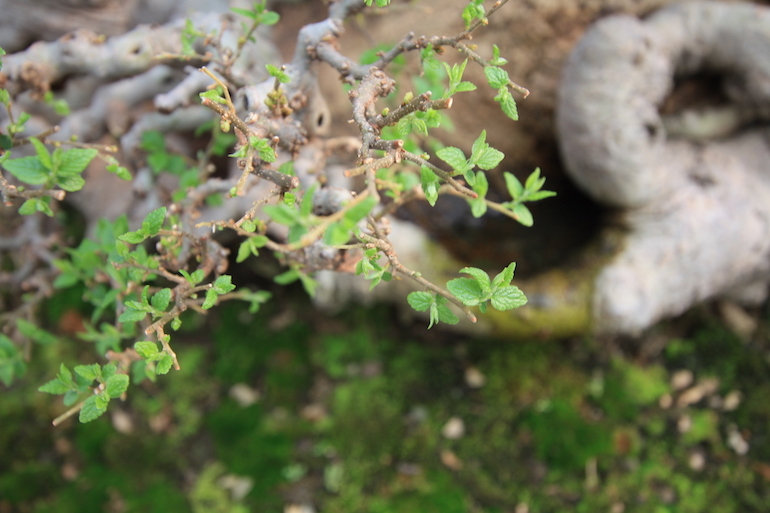 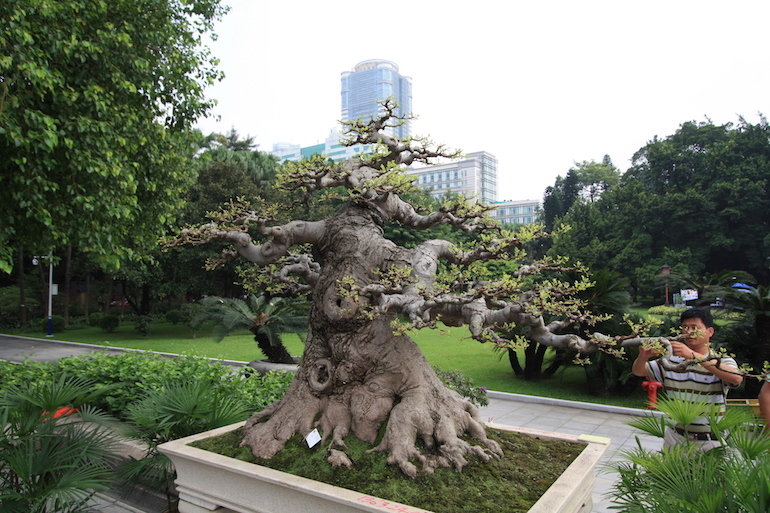 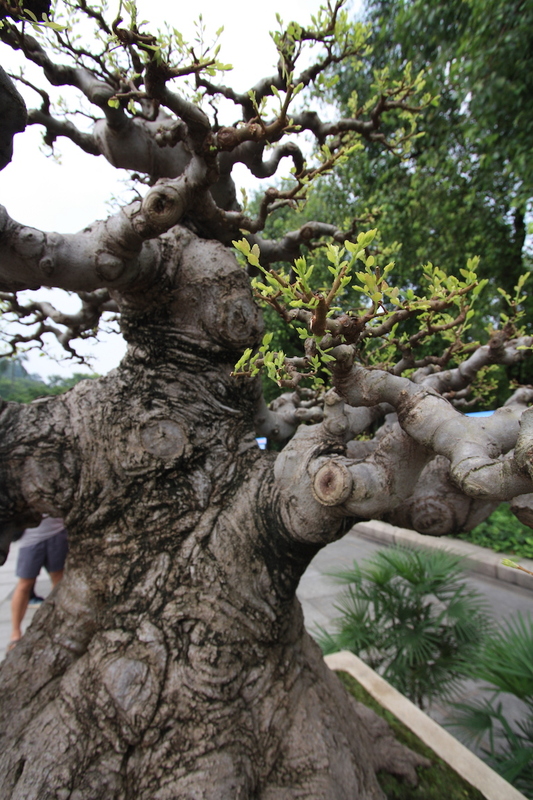 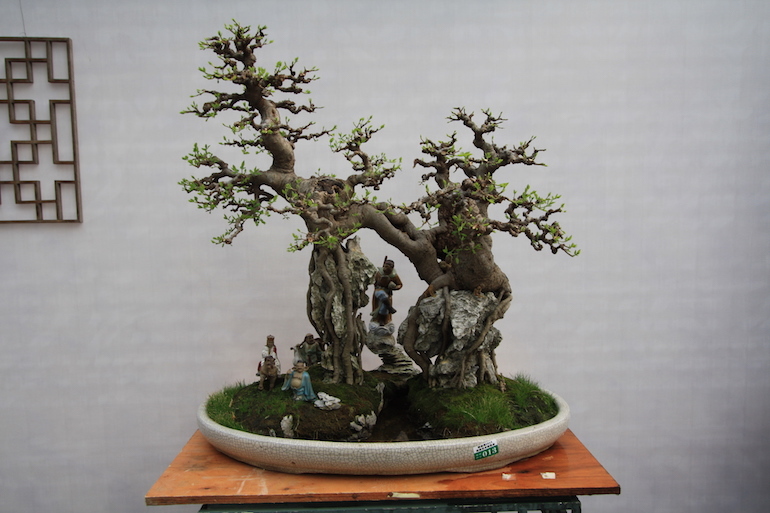 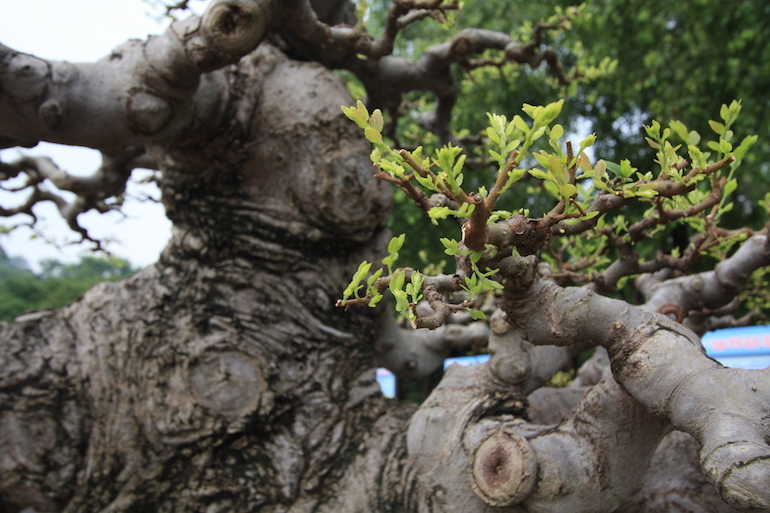 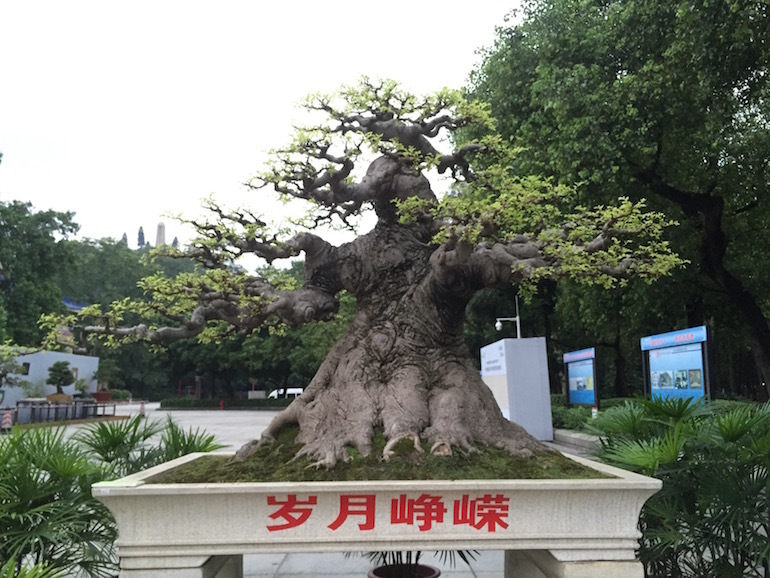 Celtis sinensis originates from East China, Korea and Japan and is widely used in these countries for bonsai. 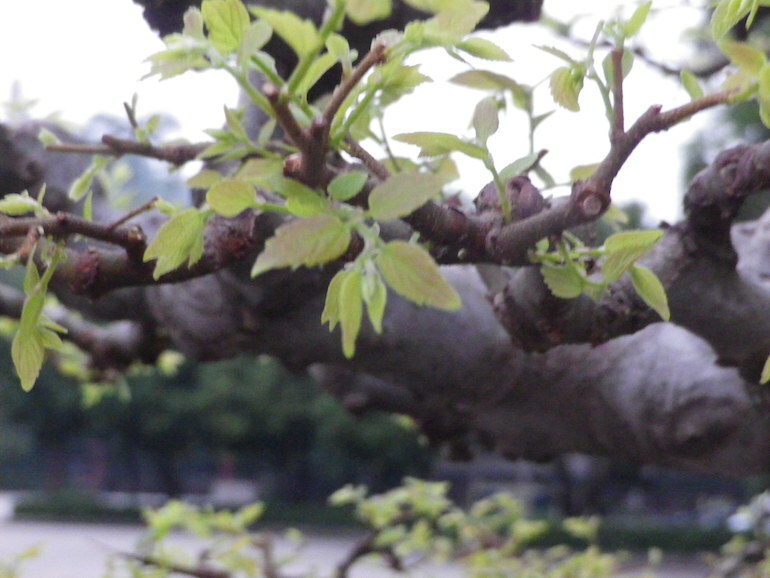 The leaves are dark green and almost shiney on the upper sides and the drupes are red or yellow. 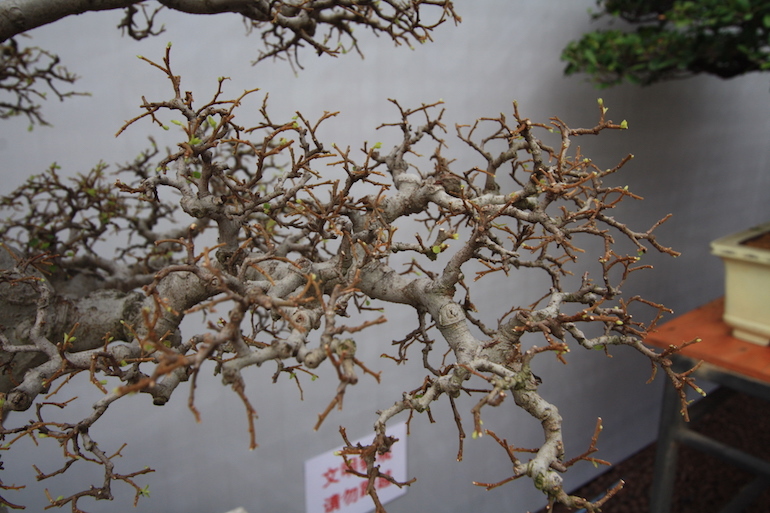 They respond well to pruning and work well with a grow and clip method. 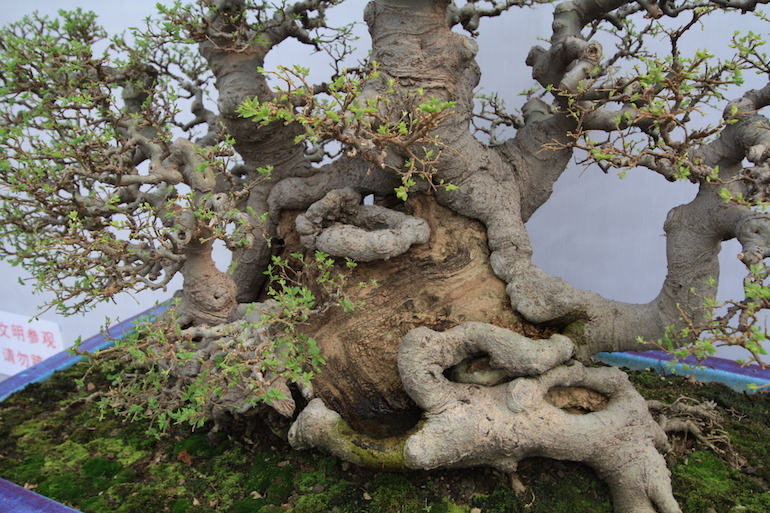 Here are a few more of those present at the BCI convention and they were impressive bonsai to say the least in scale and size plus ramification. 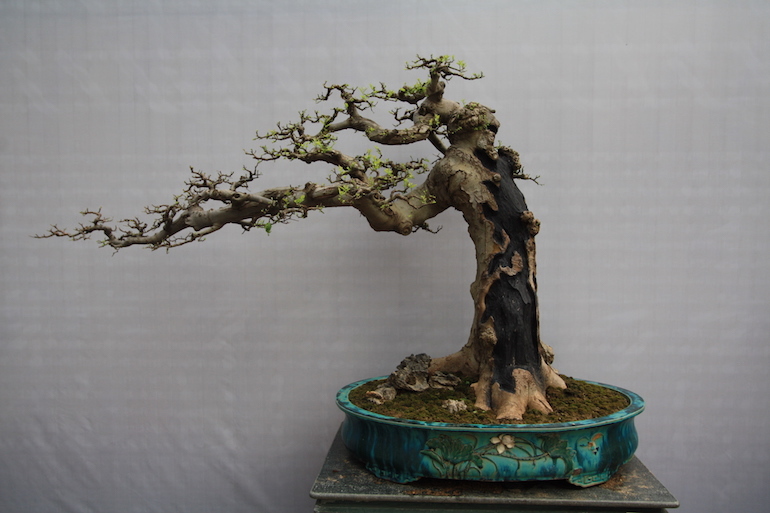 Posted March 23, 2016 by AW & filed under Species.